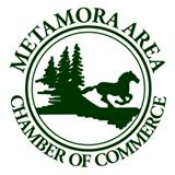 Welcome to the Metamora Area Chamber of Commerce Ambassador Program! Our goal is to help you develop your networking opportunities while volunteering at various Chamber functions. Ambassadors serve in a public relations capacity as a liaison with Chamber members and potential new members. To welcome and involve existing members through participation in Chamber-sponsored events. To recruit new Chamber members. To visit new members to encourage involvement in the many programs offered by the Chamber. To act as a Mixer host to introduce others. To greet everyone at social functions, making them feel welcome. To attend and assist at various festivals hosted by the Chamber. Thank you for taking the time to be a dedicated member of the Metamora Area Chamber of Commerce!